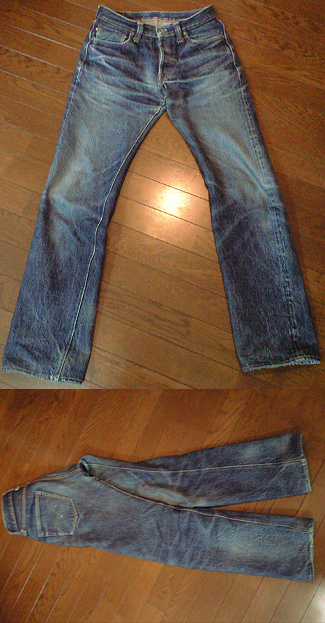 everyday swear start from 26.nov.2009 until now . 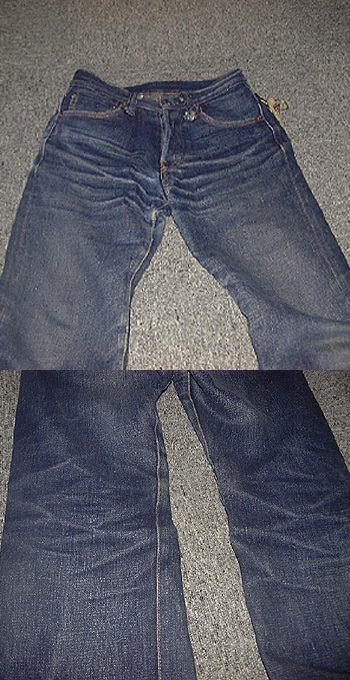 a crotch was broken three times. 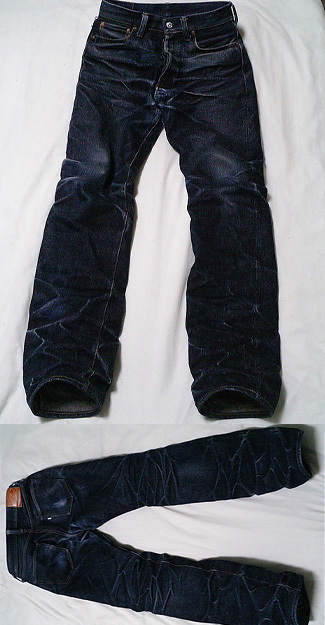 Worn everyday from 1st January until now. 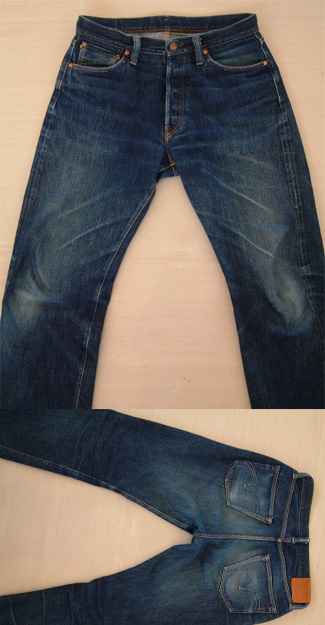 Wash that once every two month with cold water only!!! 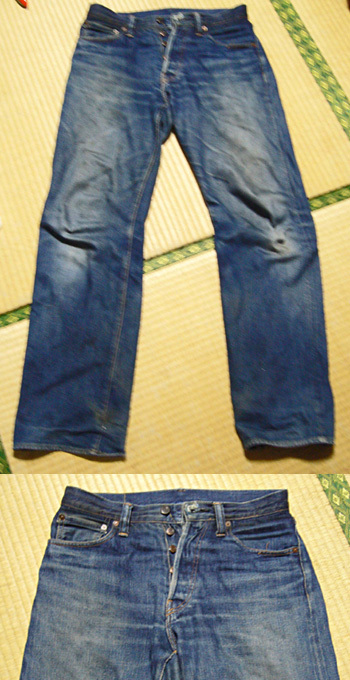 Worn everyday from January until now. 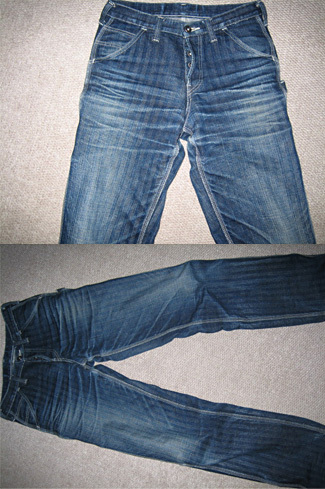 Wash that once a month with cold water!!! 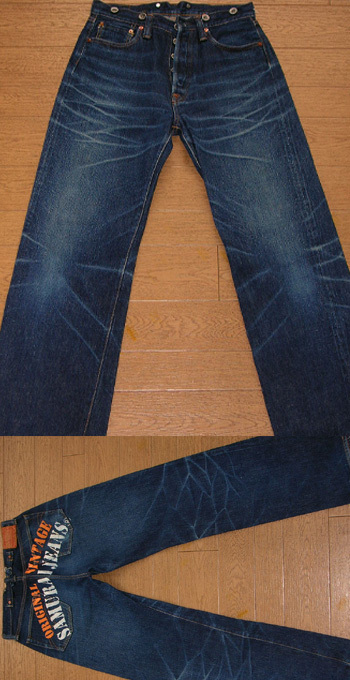 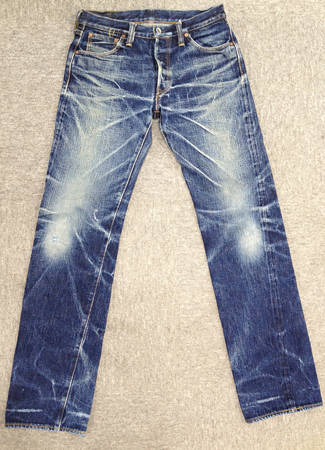 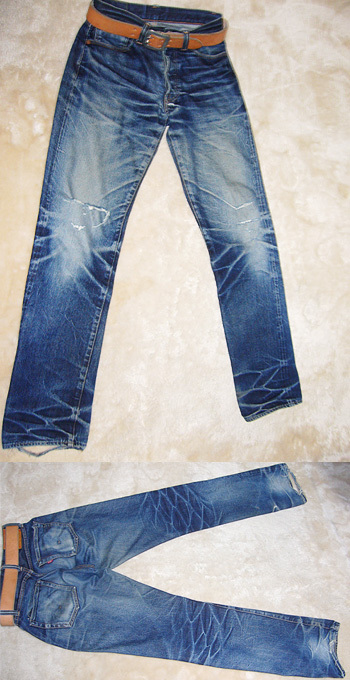 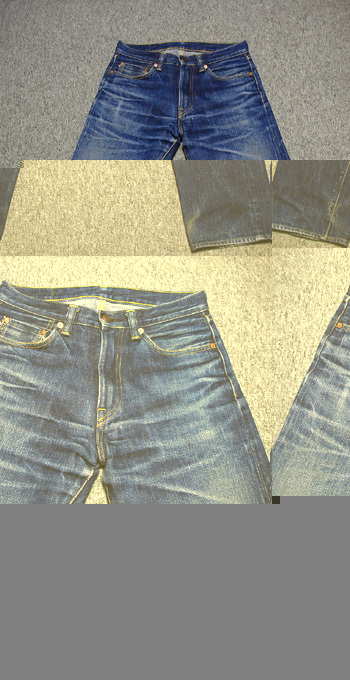 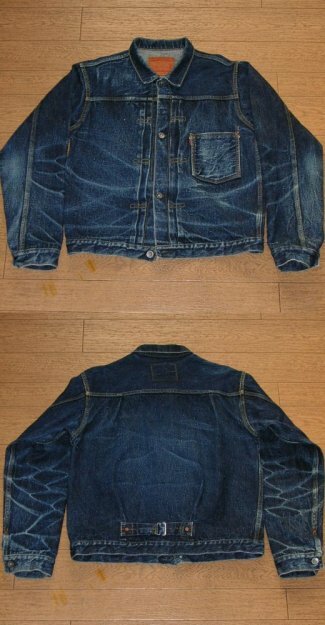 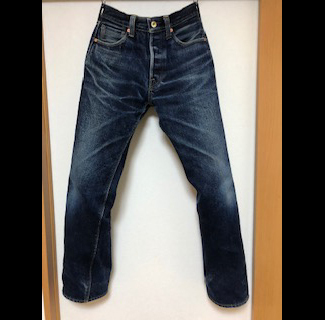 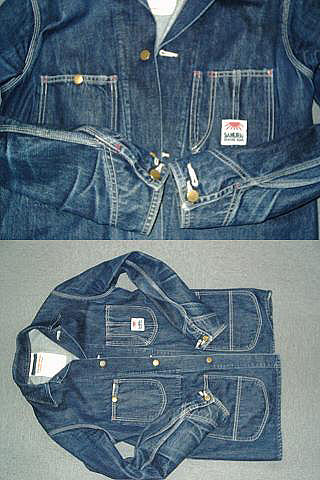 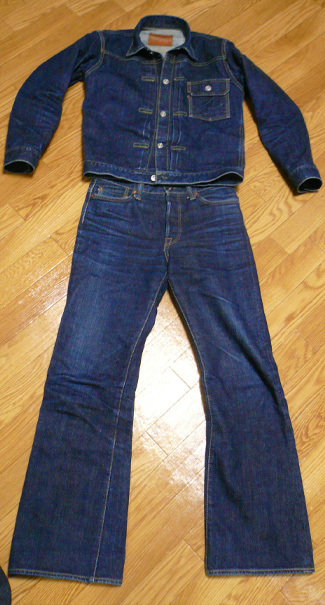 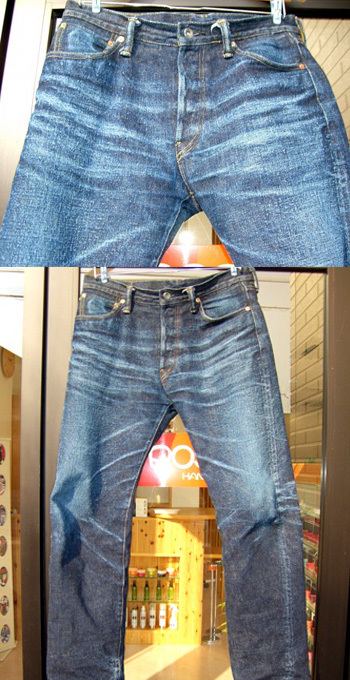 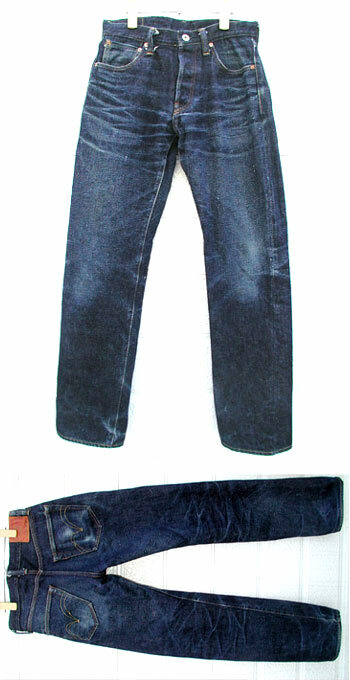 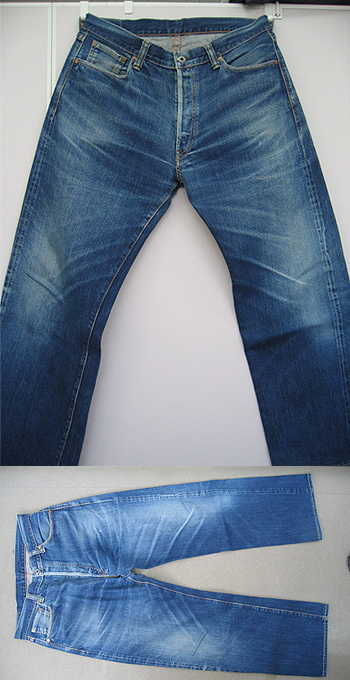 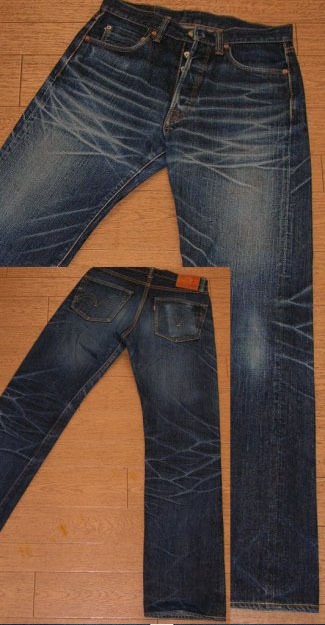 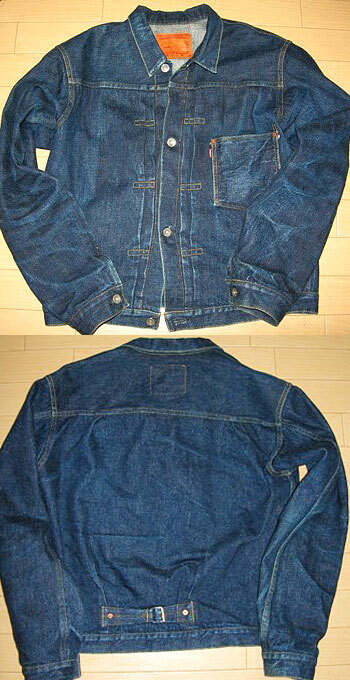 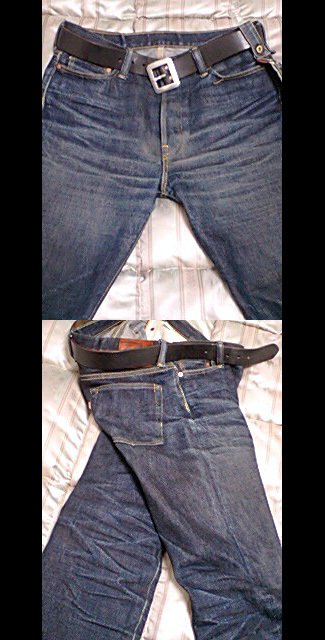 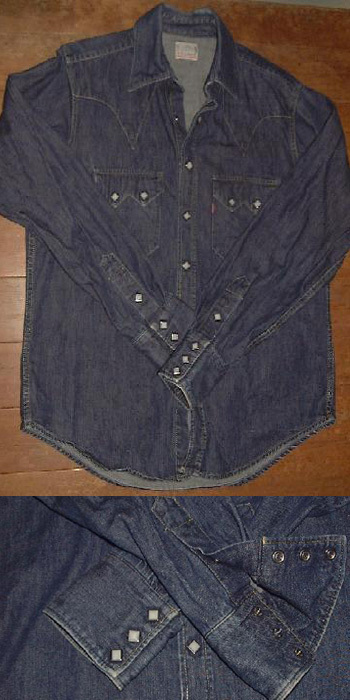 I really like this jeans, I know they are going to look excellent. 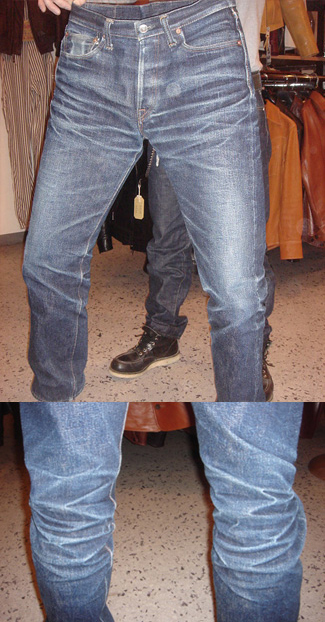 You can check more on my website. 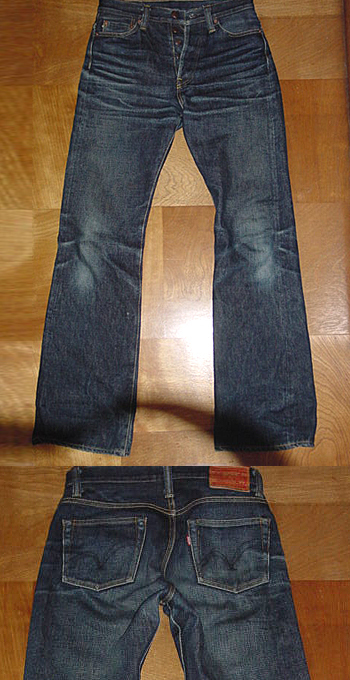 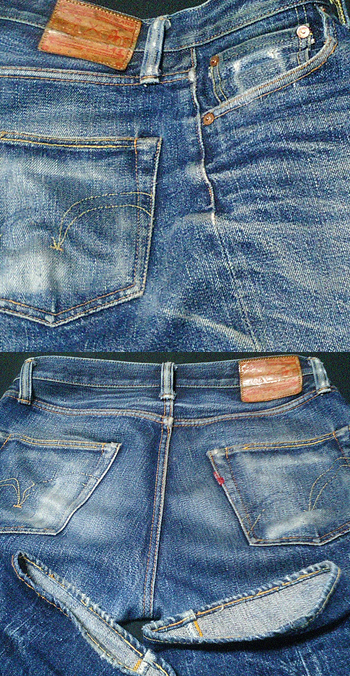 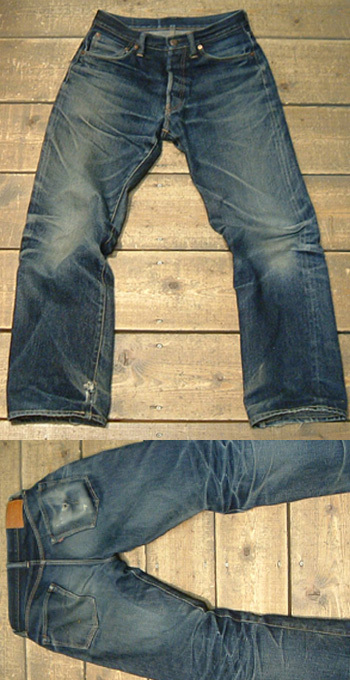 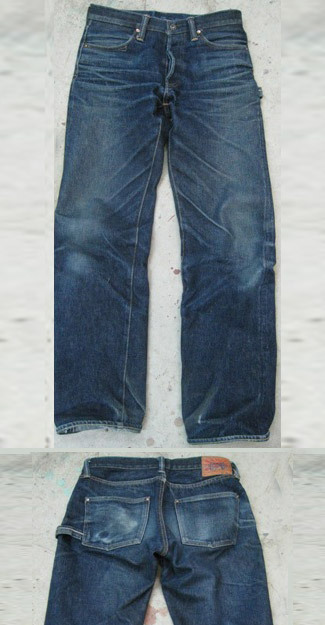 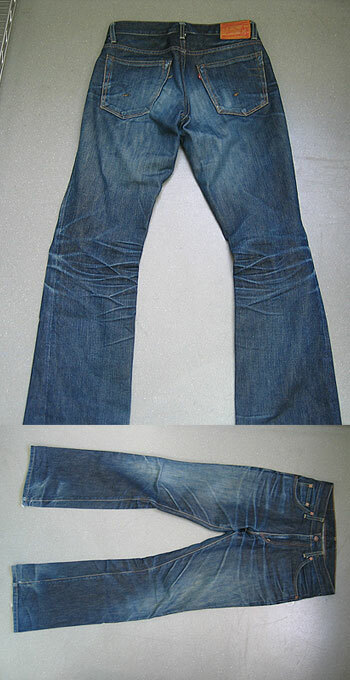 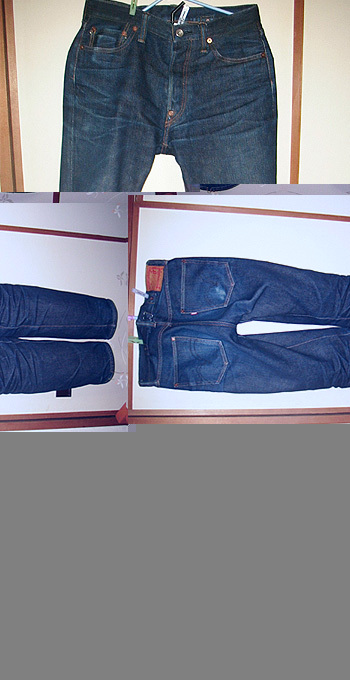 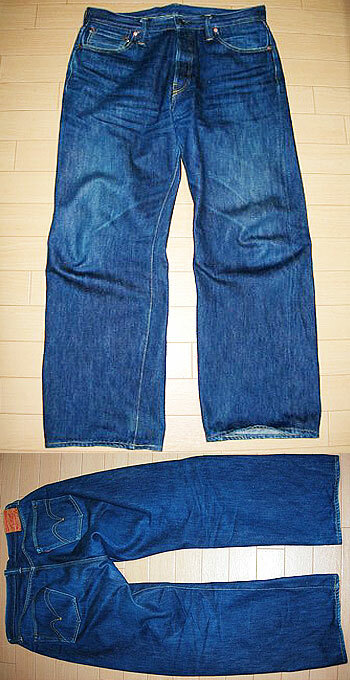 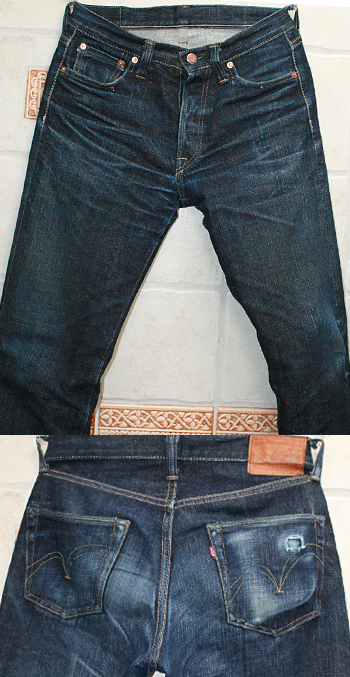 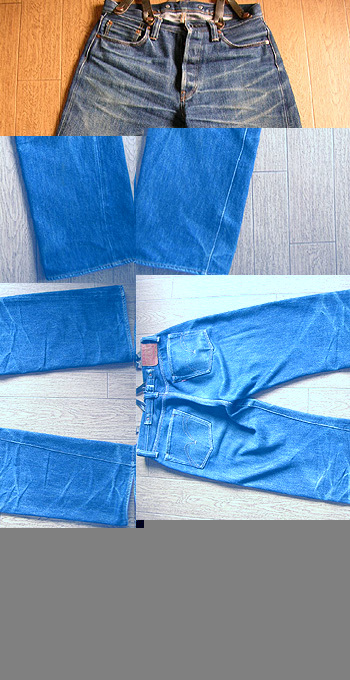 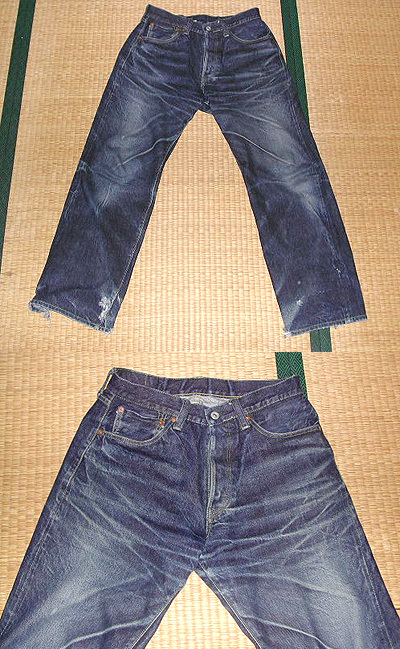 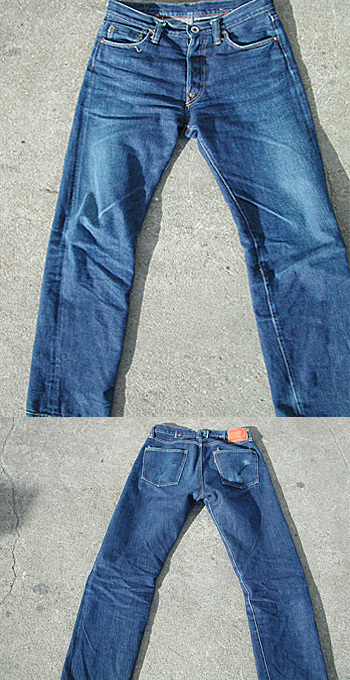 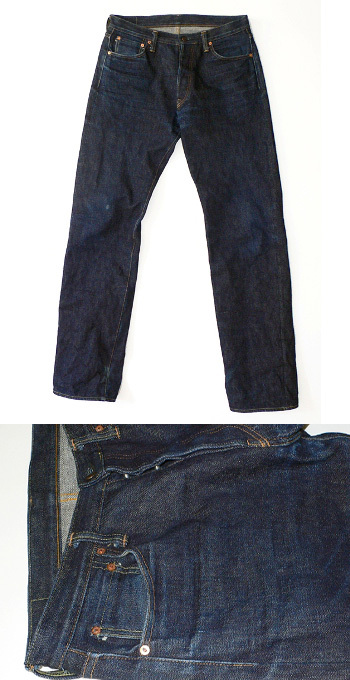 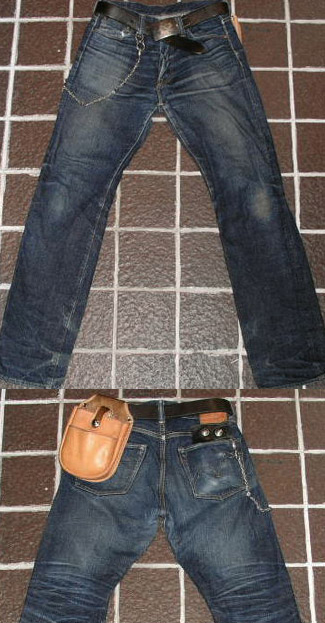 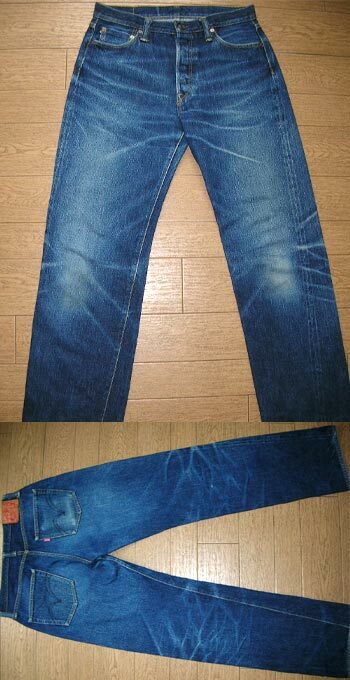 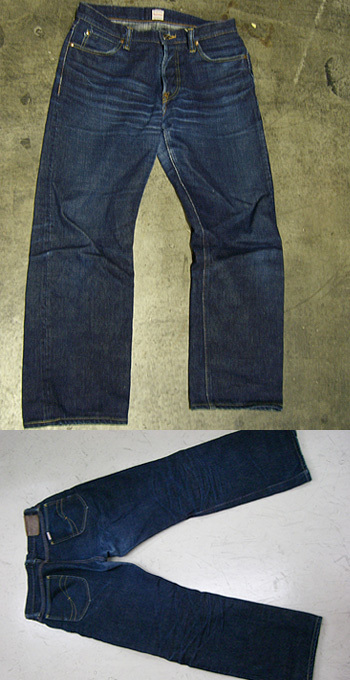 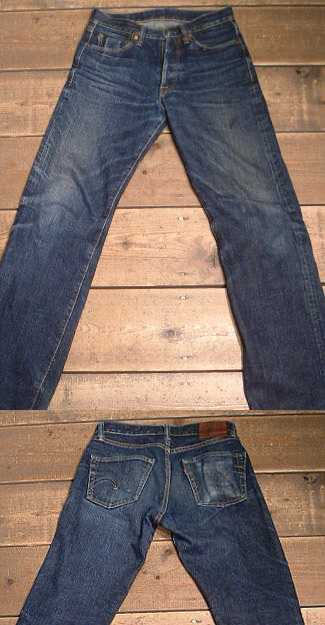 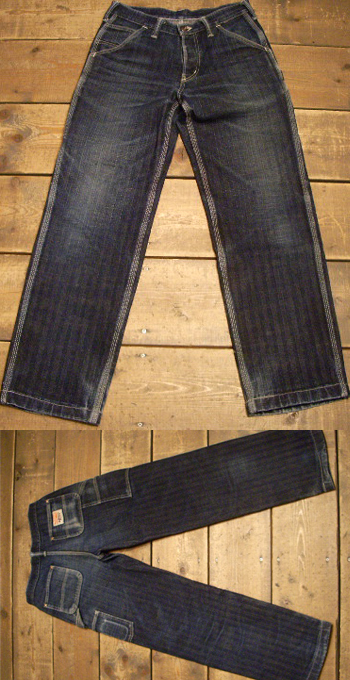 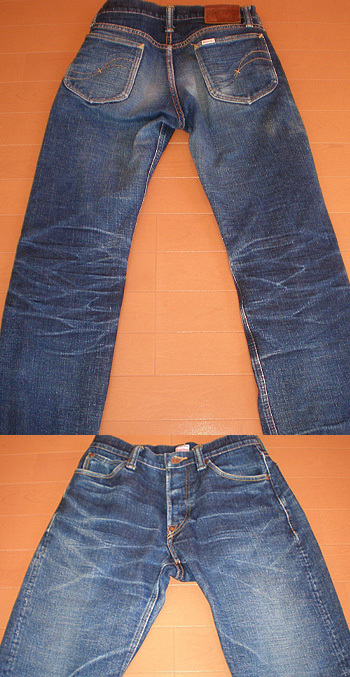 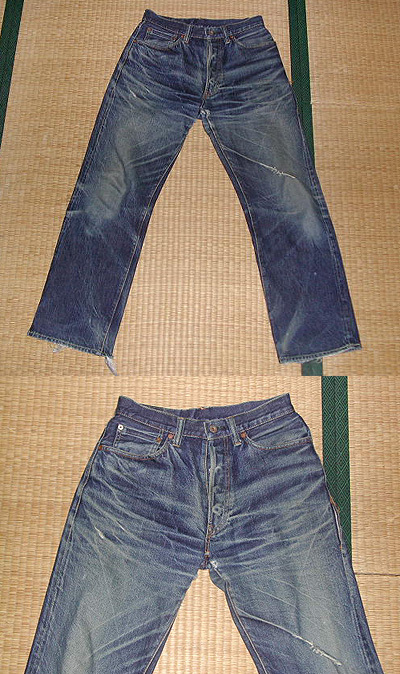 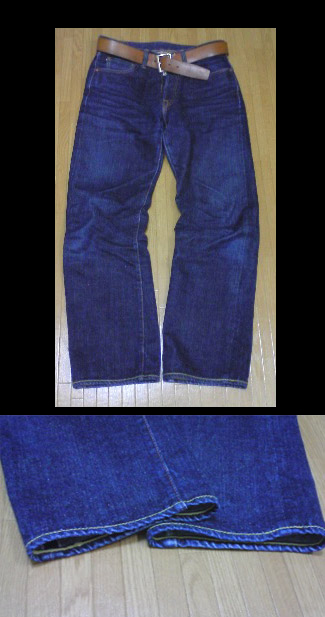 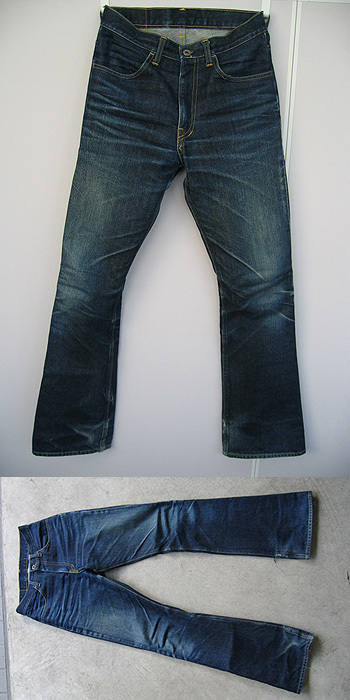 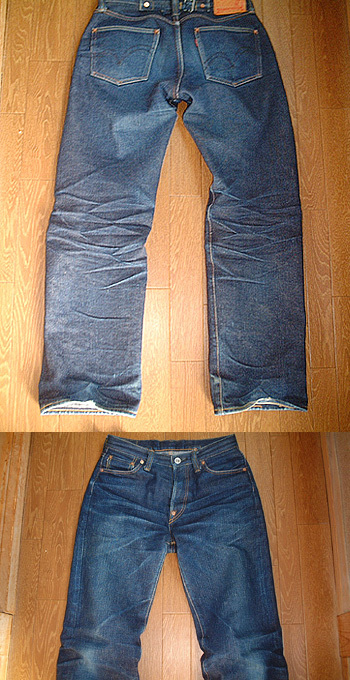 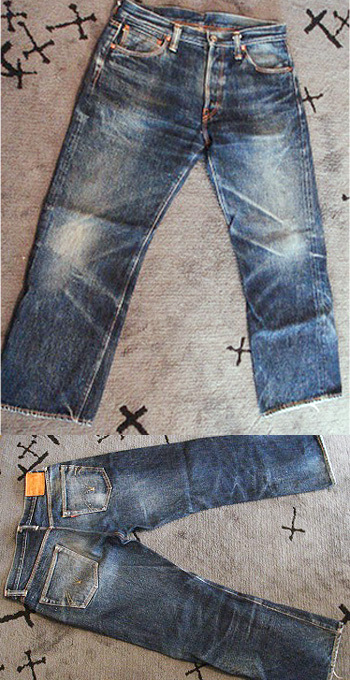 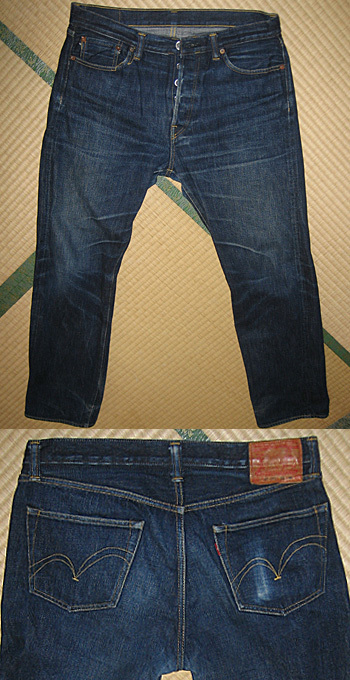 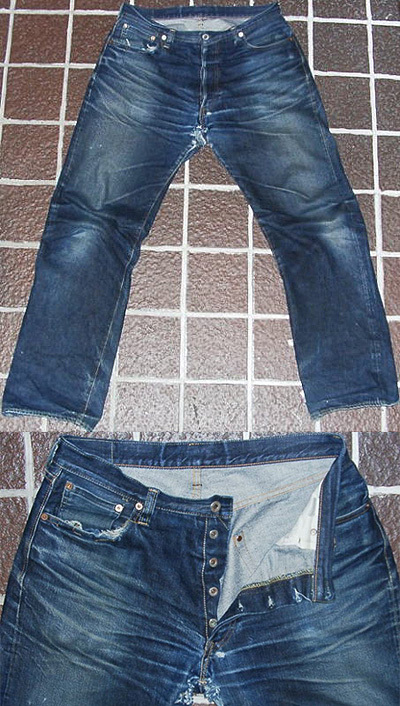 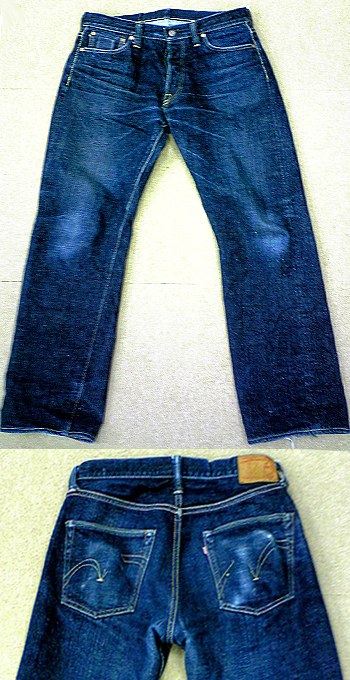 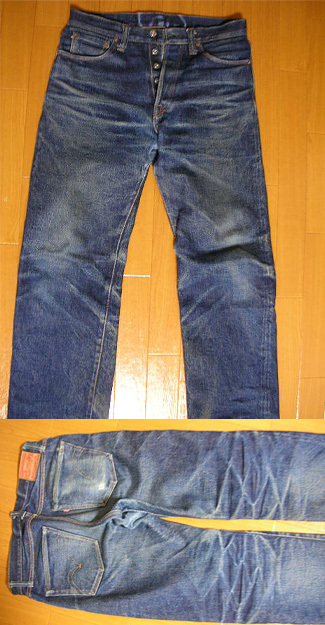 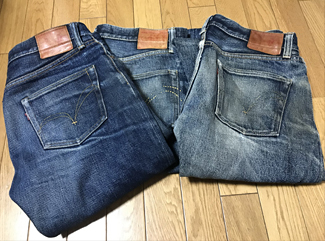 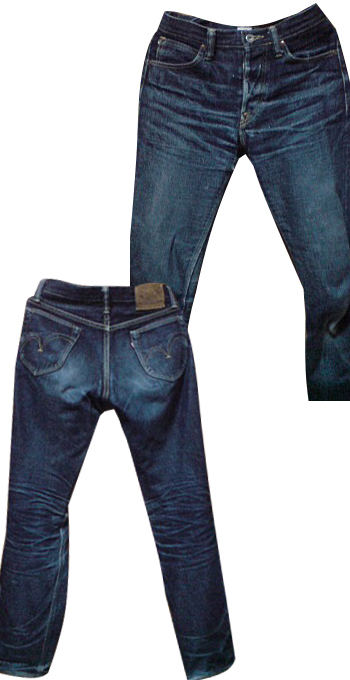 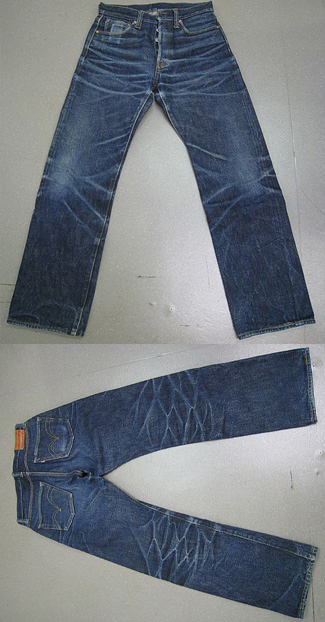 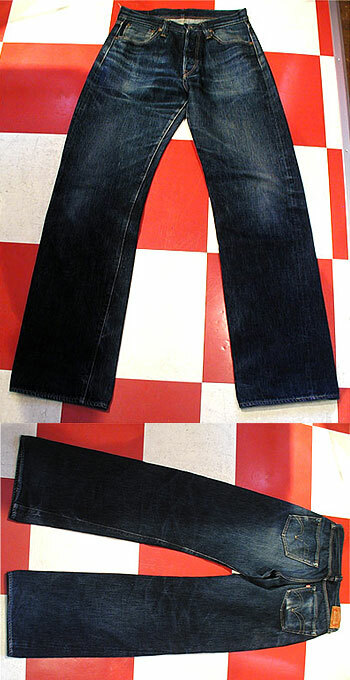 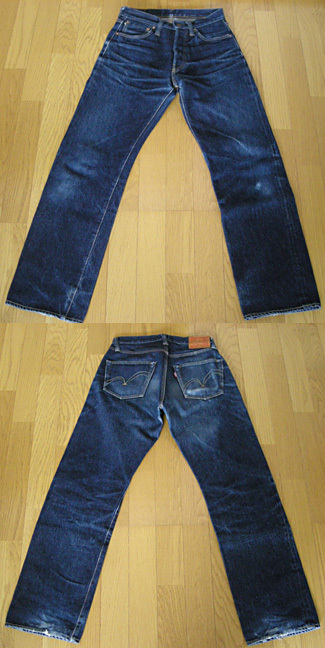 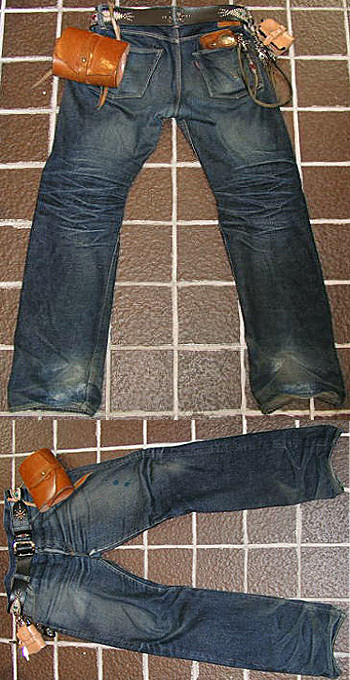 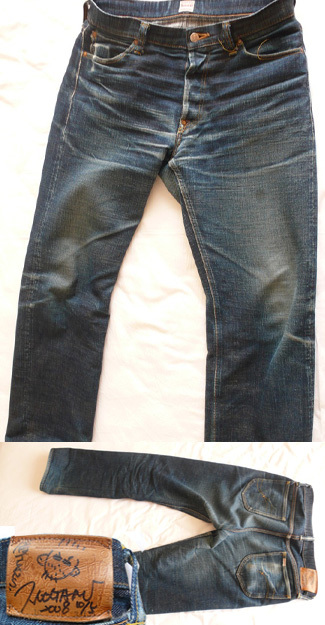 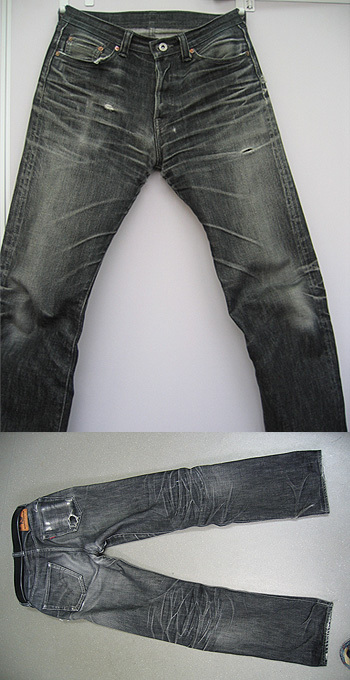 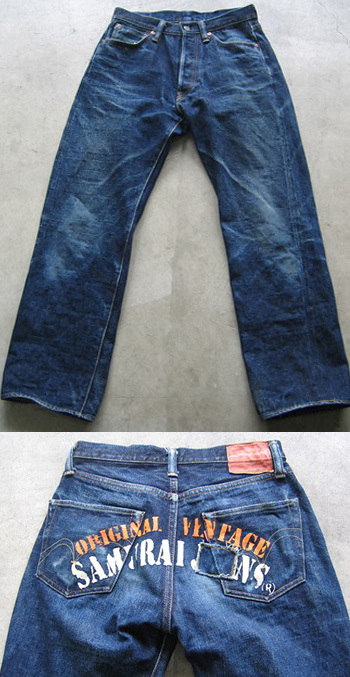 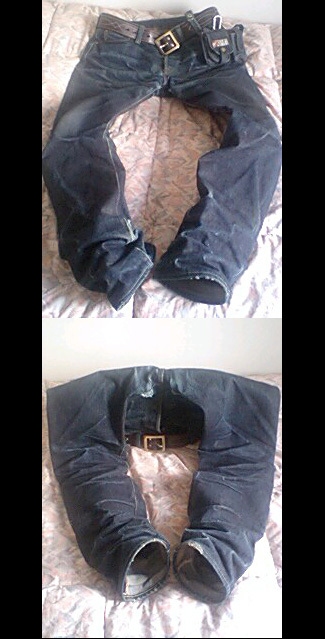 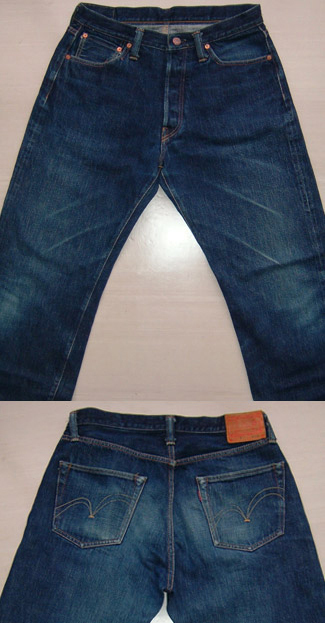 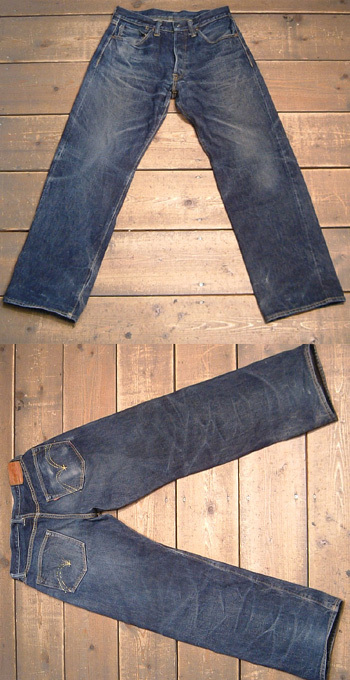 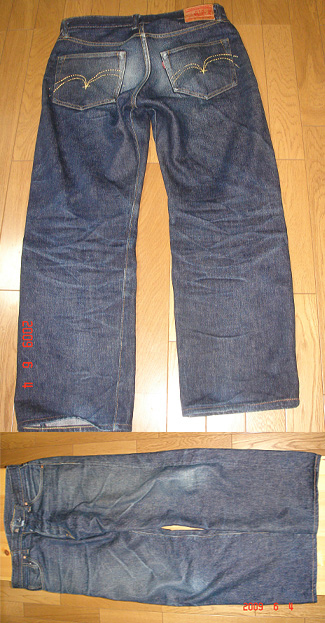 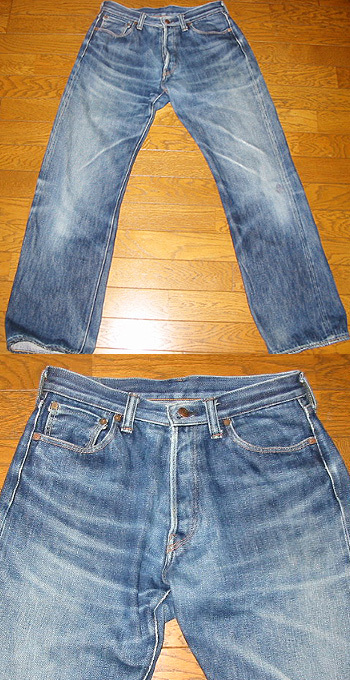 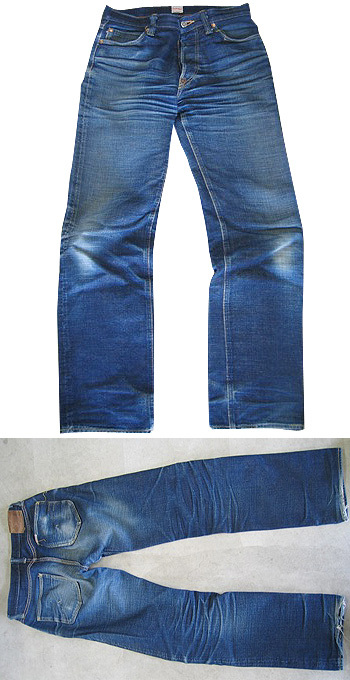 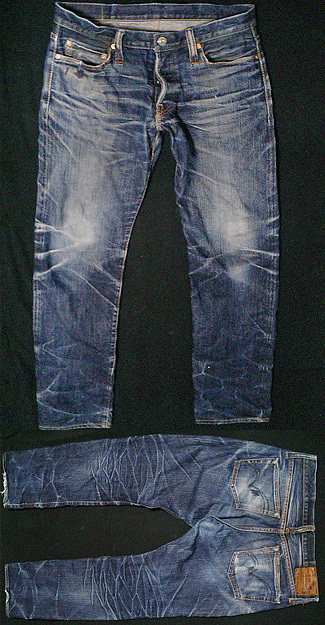 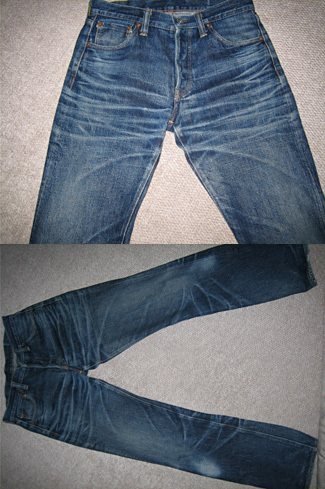 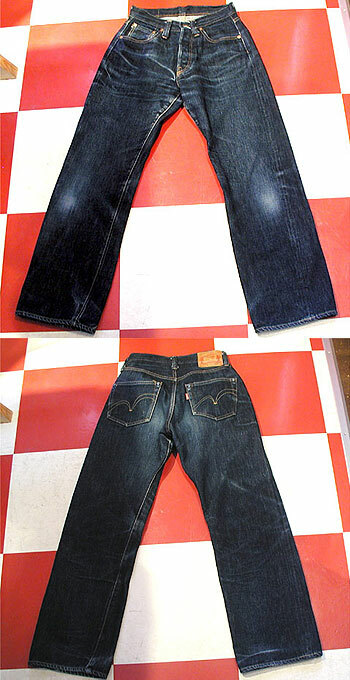 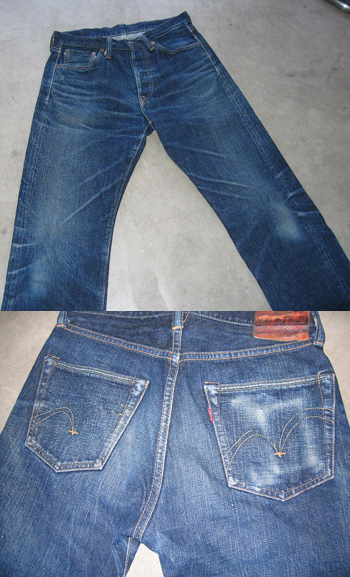 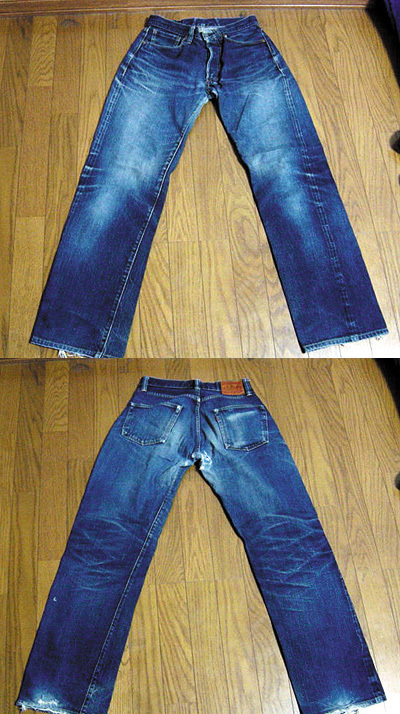 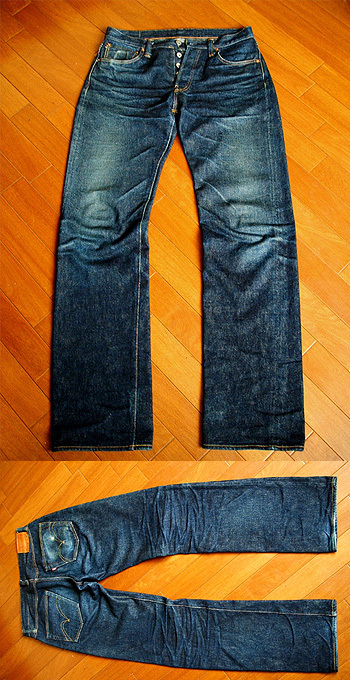 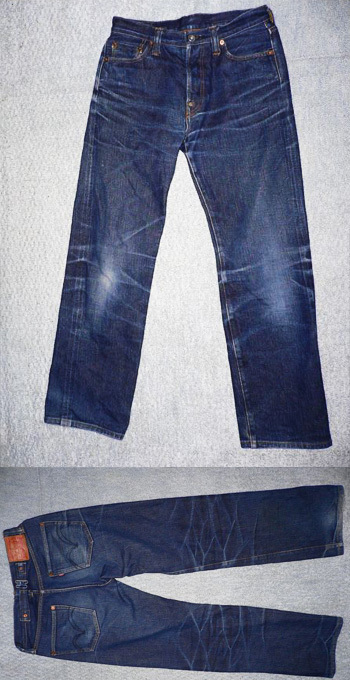 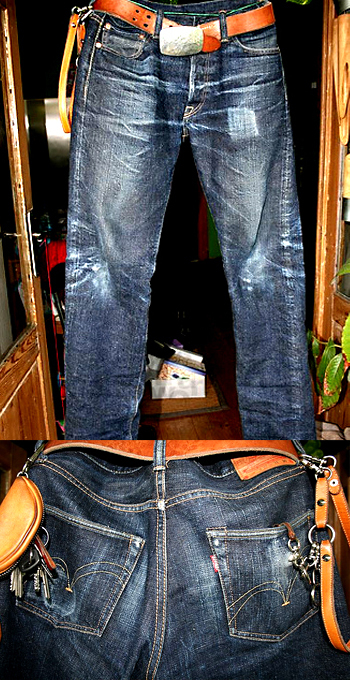 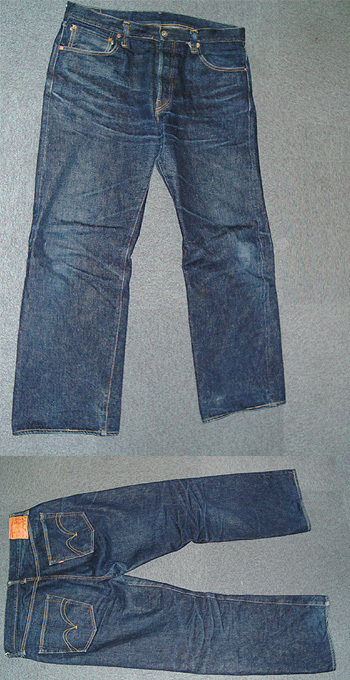 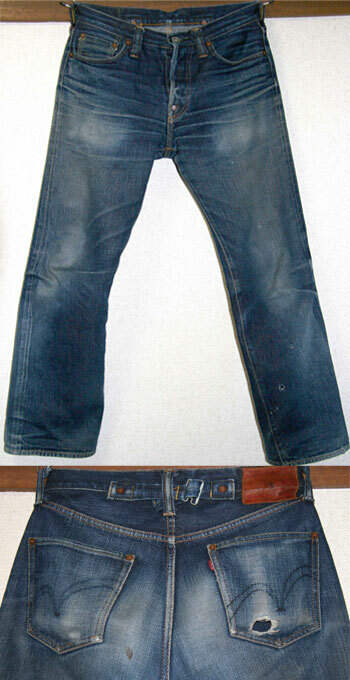 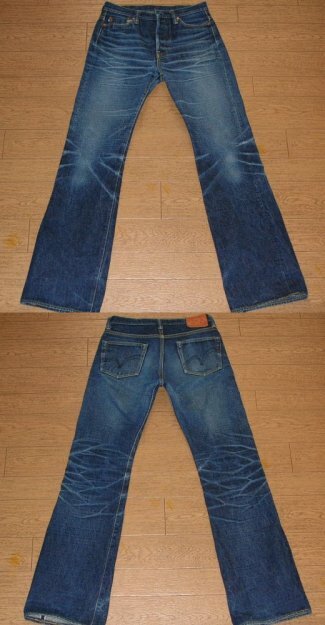 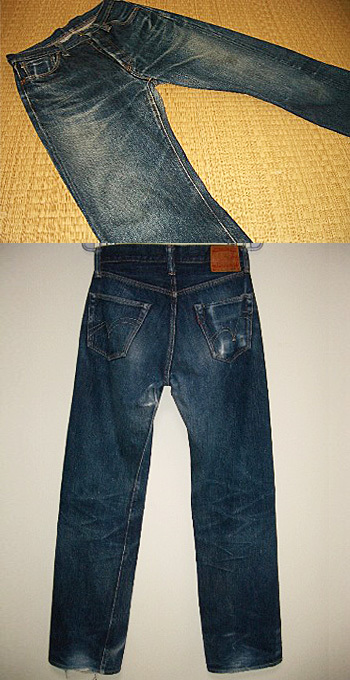 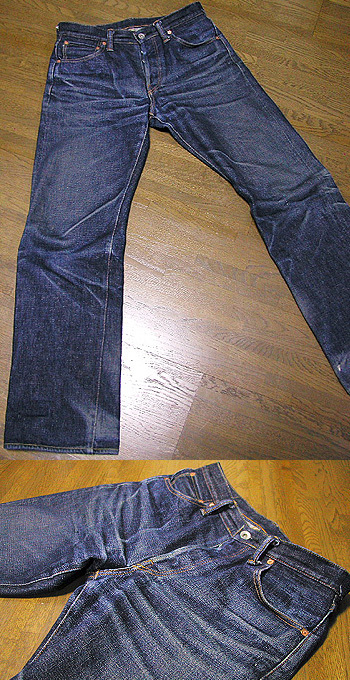 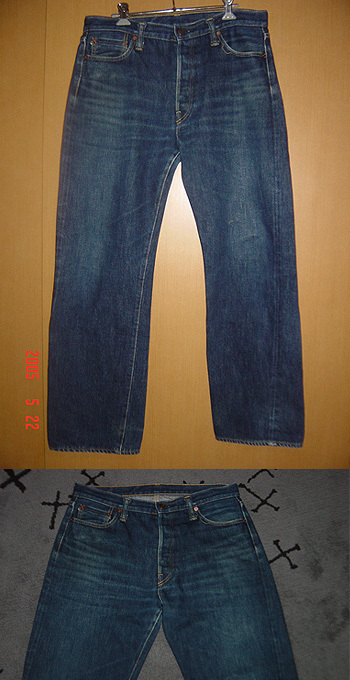 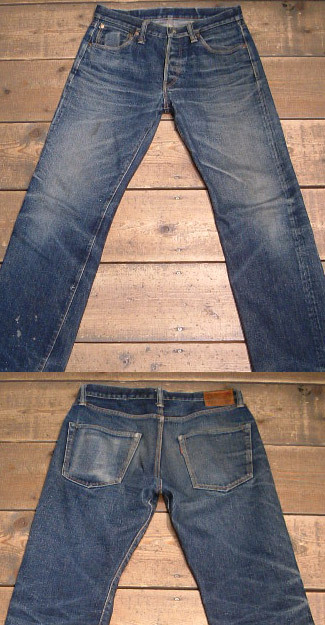 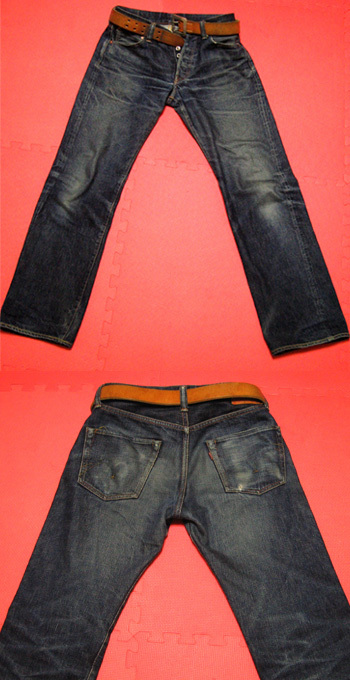 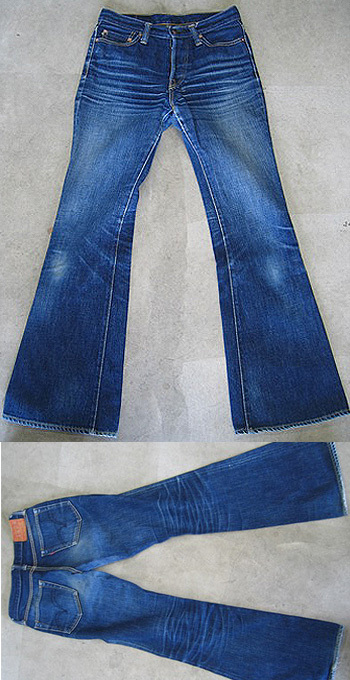 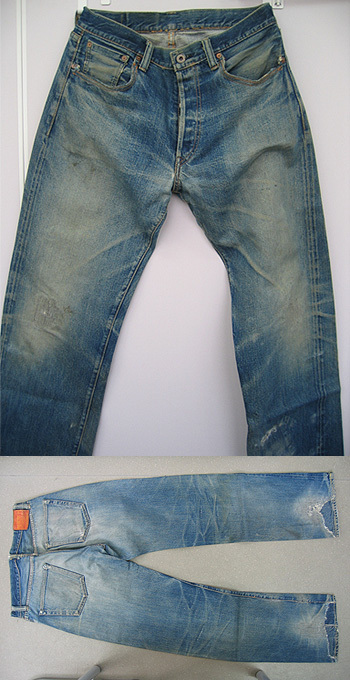 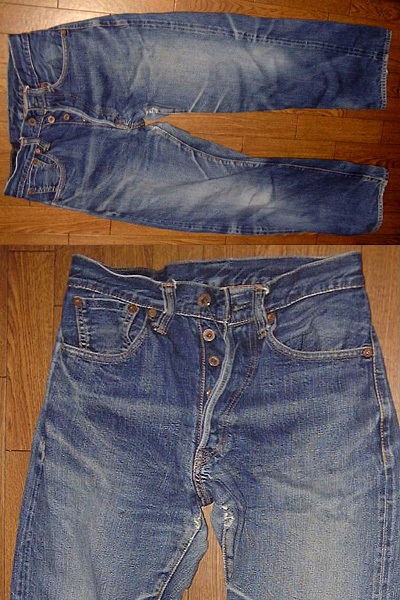 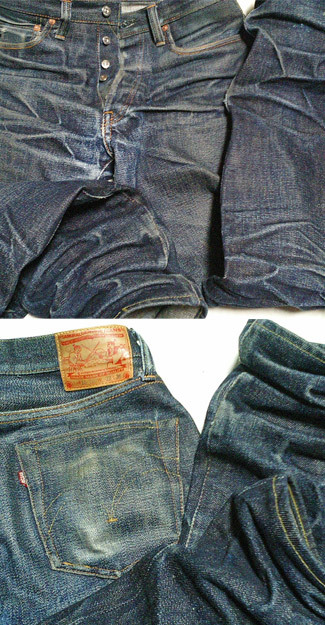 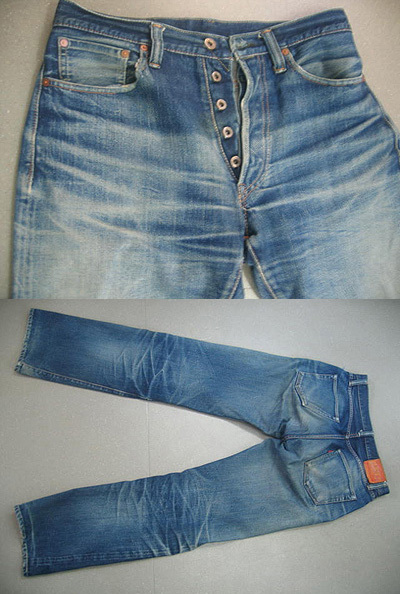 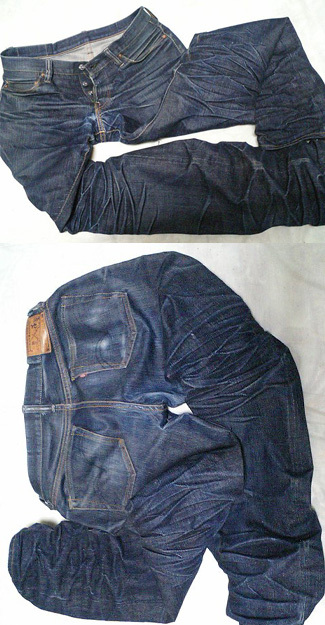 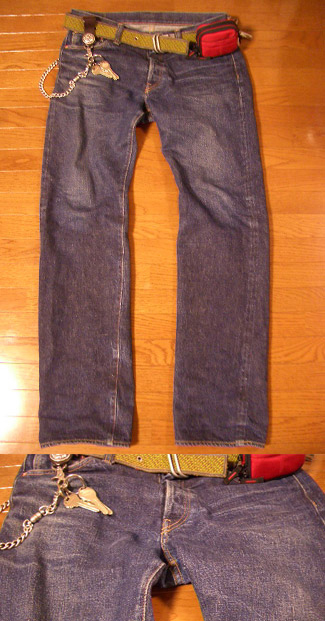 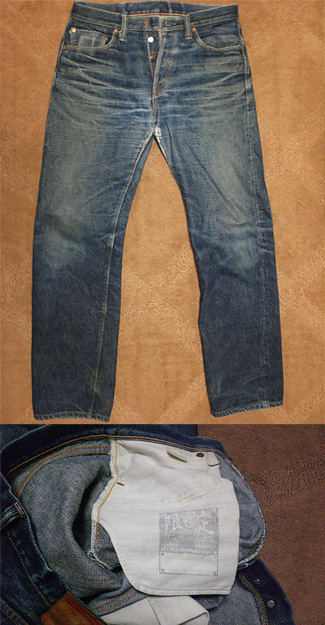 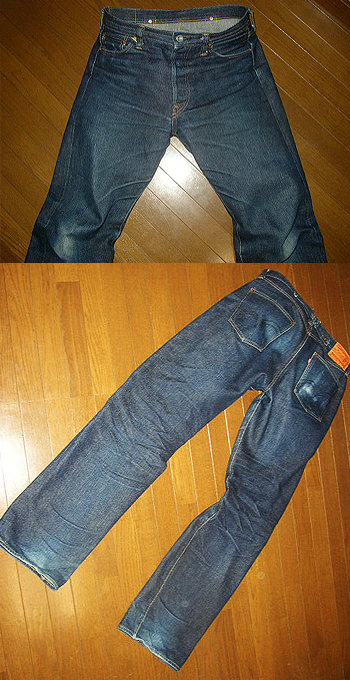 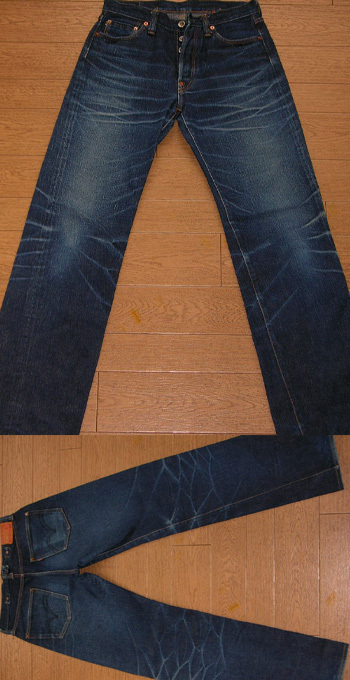 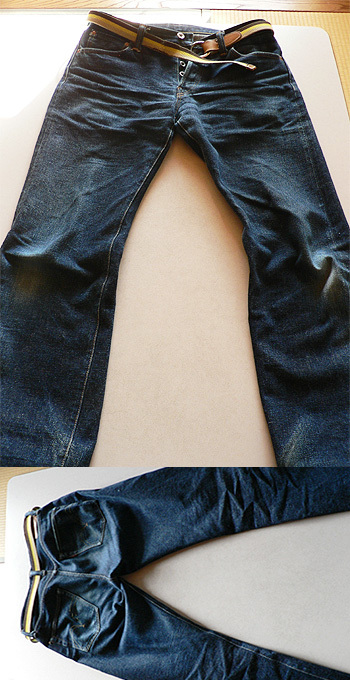 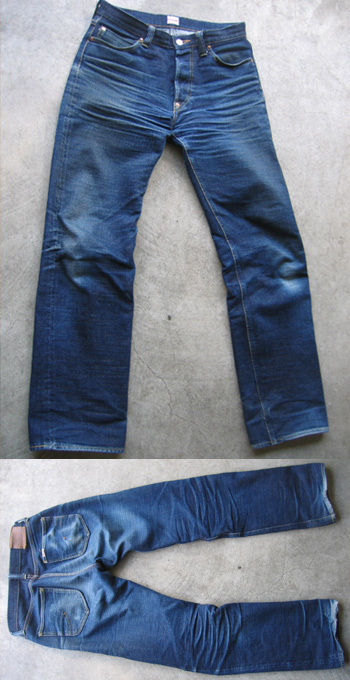 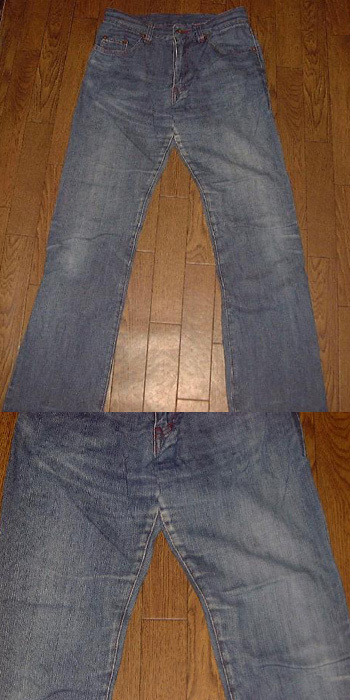 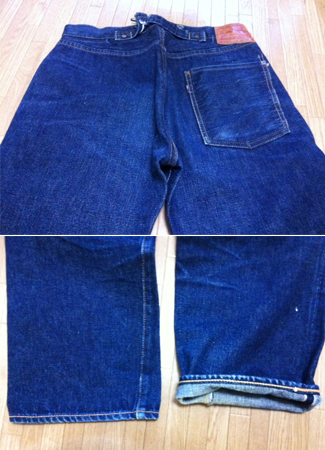 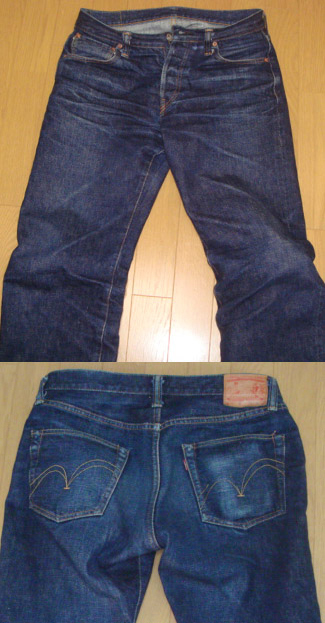 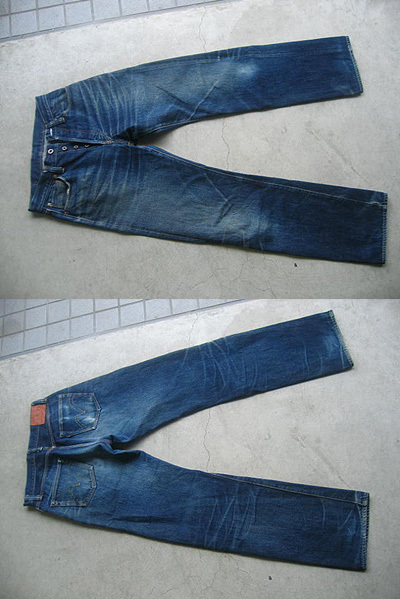 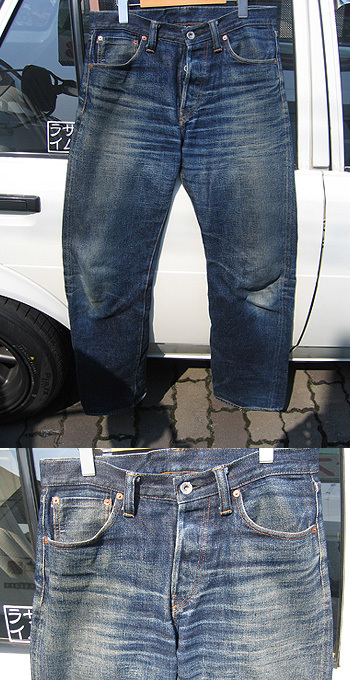 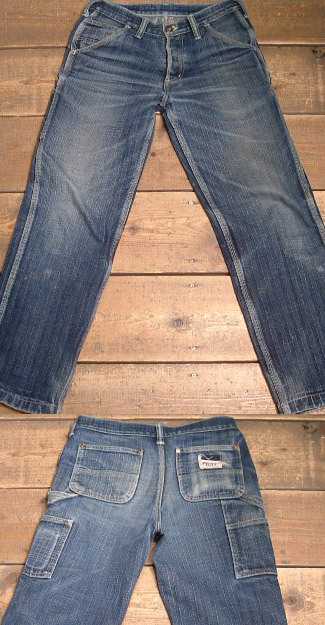 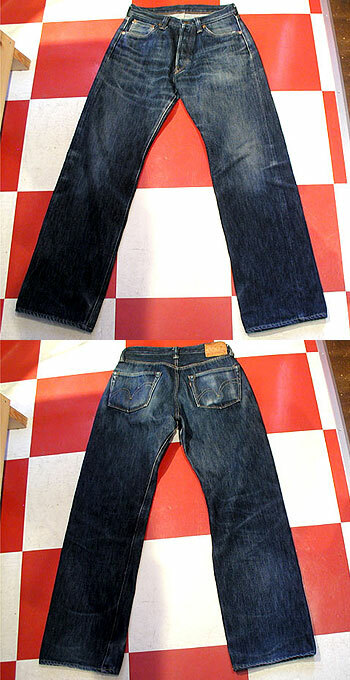 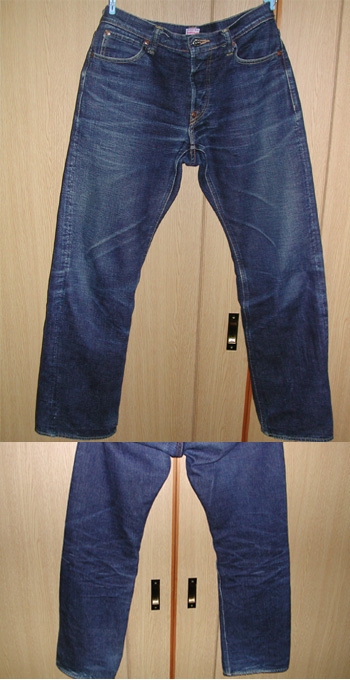 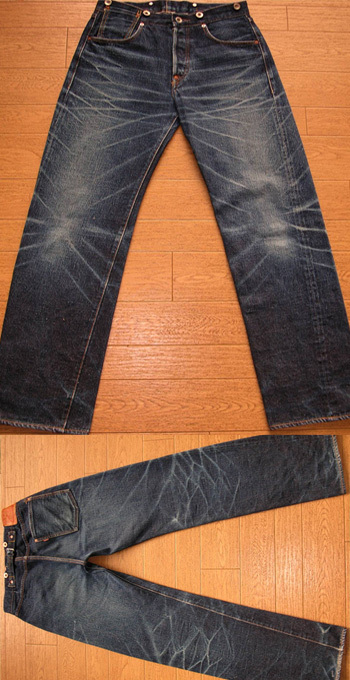 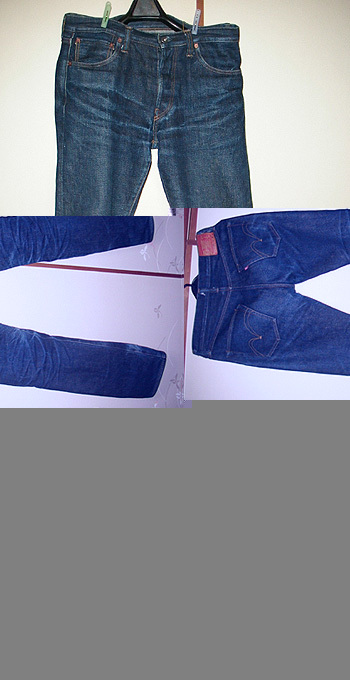 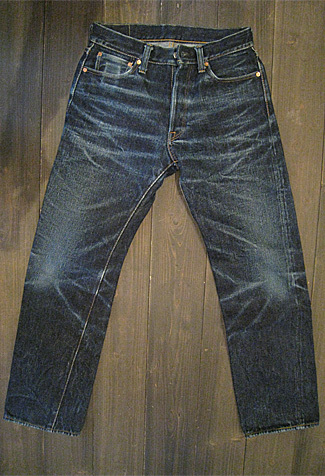 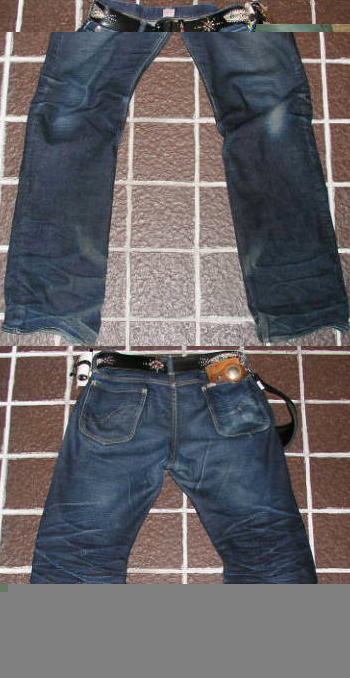 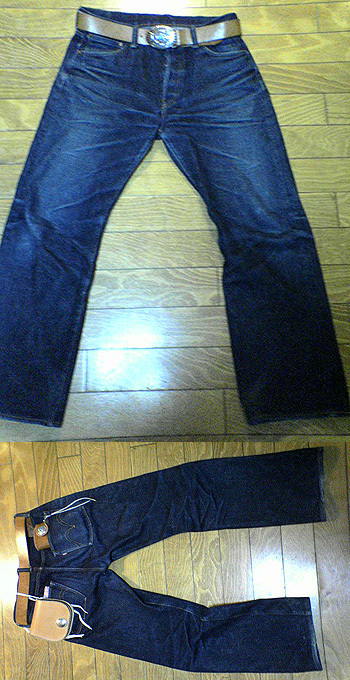 These are my S0500XX worldwide contest jeans. 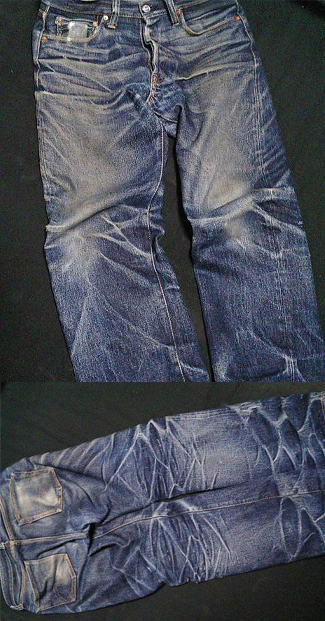 I wore them for 6 months now - almost every single day. 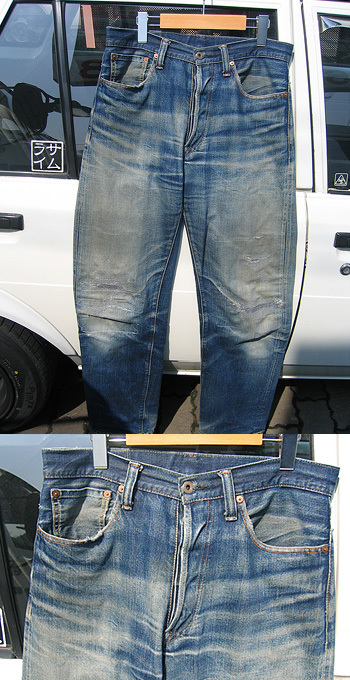 They have been washed 5 times so far. 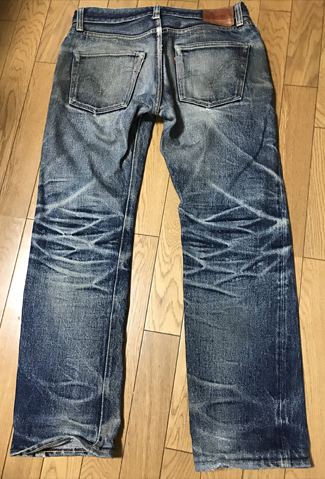 worn everyday from august until november, then the international samurai contest on superfuture began and I wear both the s500xx and s5000bk. 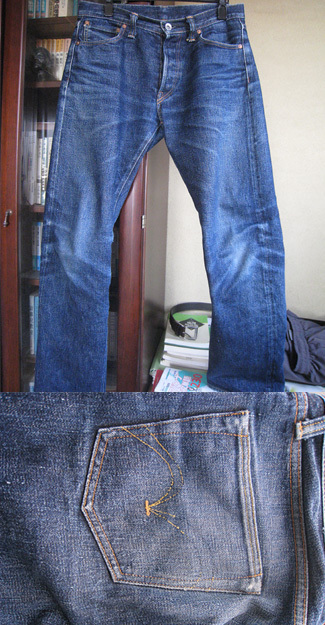 I try to wear the BK as much as I can, but the contest jeans I wear the most. 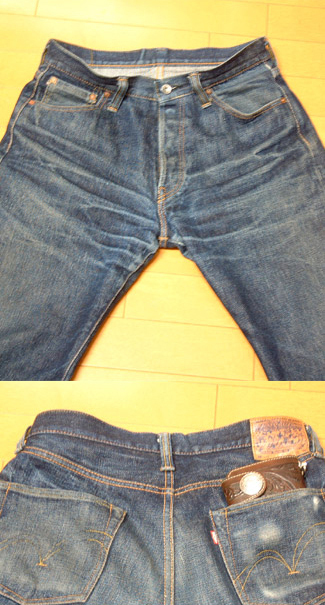 it's still early but i think they're off to a good start, especially the hige on the momotarou. 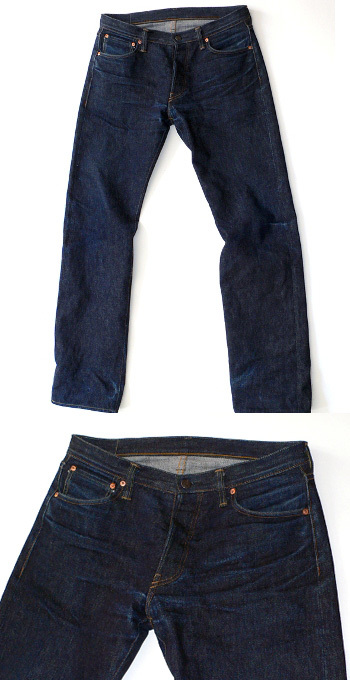 i'm excited for the next 6 months. 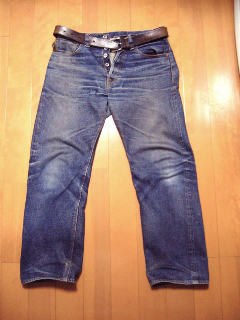 i won't wash with detergent, just rinse in running water in the bathtub, as i want to try to emulate old times in america when people washed their clothes on a rock in the nearest river. 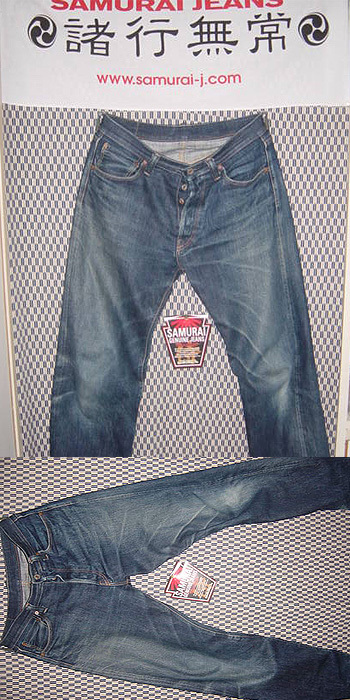 Copyright(c) samurai-j.com All Rights Reserved.